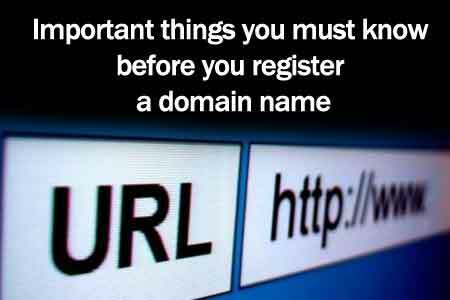 Most of web developers from time to time buy domain names. But not all web developers know what can be behind that process and what unexpected problems may appear suddenly. There is plenty of domain name registars like Go Daddy, Enom, 1nd1, etc. Each registar has its pros and cons. Sometimes a domain owner can face a very sudden problem. Unfortunately, this "problem" could have been known if domain buyers read Terms and Conditions carefully before they buy domains. Registars have a lot little "surprises" buried in the fine print of a registrars' "Terms of Service". I heard a story from one of my collegues that a registar requested a 200$ fee to unblock my collegue's domain name after it was blocked based on a anonymous request! The registar didn't even try to contact the domain owner and understand the nature of the problem. They simply said "Pay us money!". It looks like a virtual extortion. Also some of the registars can charge your credit card a "transfer-out" fee if you decide to move your domain to another registrar. Crazy! The only one way to avoid such surprises is to carefully read all terms and conditions before make a purchase. I hope this article will help you to get foolled by a cunning domain regstar.